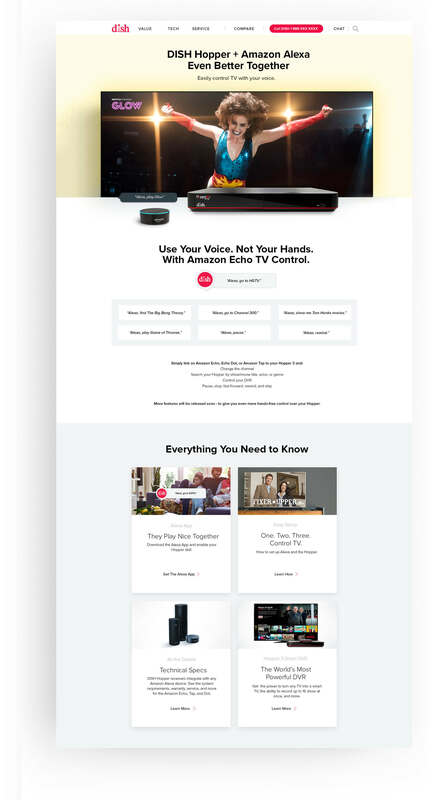 Our campaign centered on hands—free functionality and naturally tied—in with the Spokeslistener as one more way DISH listens to our customers—now with the help of Amazon Alexa. We introduced the new integration by promoting general functionality like searching, playing and pausing, and fast-forward and rewinding TV—all hands—free. Now, we tell the world. OneTen created a fleet of social executions that made use of our library of voice-control content. 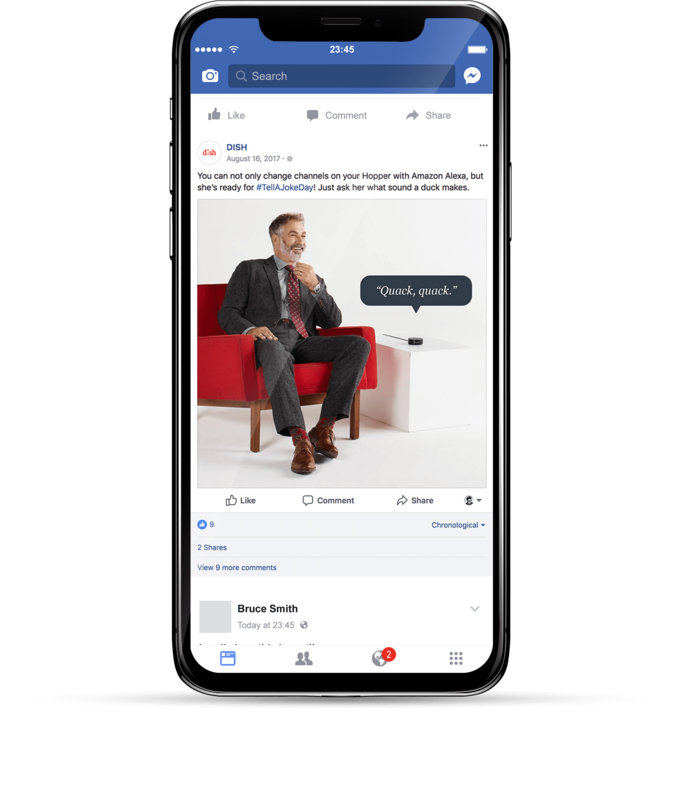 Video and static posts helped illustrate the brand-new concept of Hands-Free TV® and drove traffic to our digital presence.